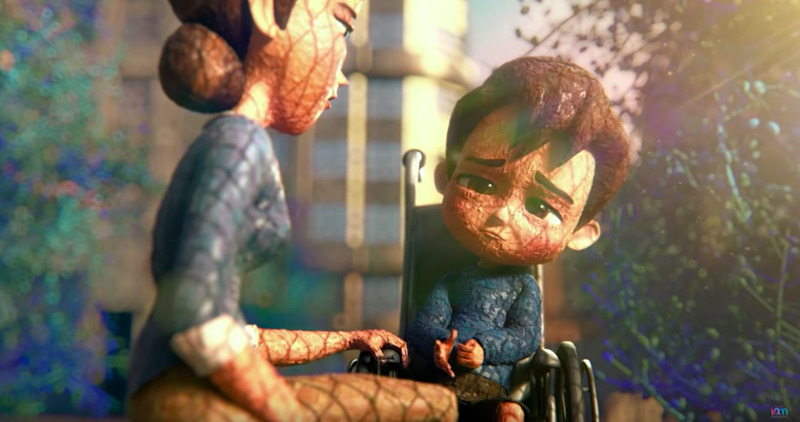 It's that time of year to figure out which toys your child with disabilities will really enjoy—which will also give him a boost in the development department. Ta-dah! 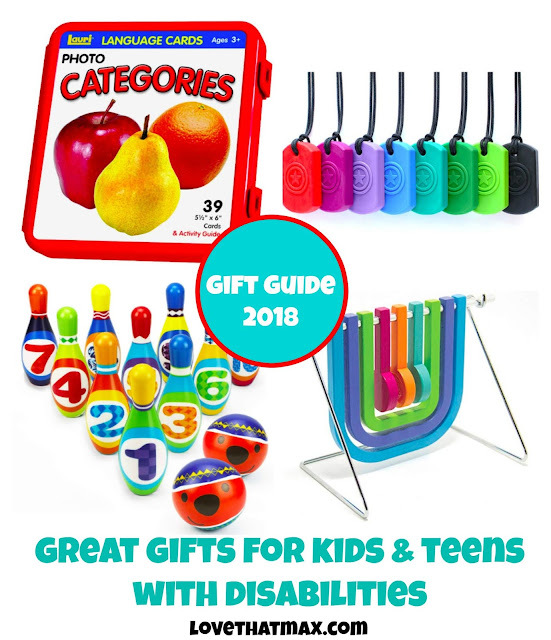 Here's my annual roundup of toys that help boost fine-motor skills, gross-motor skills, cognition, communication and oral-motor development, along with ones for children with sensory needs. 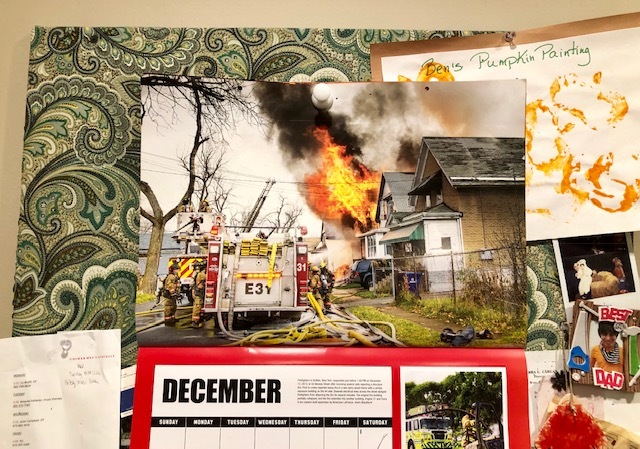 Plus, a few ideas for teens. These toys and cacome recommended by therapists and parents alike. 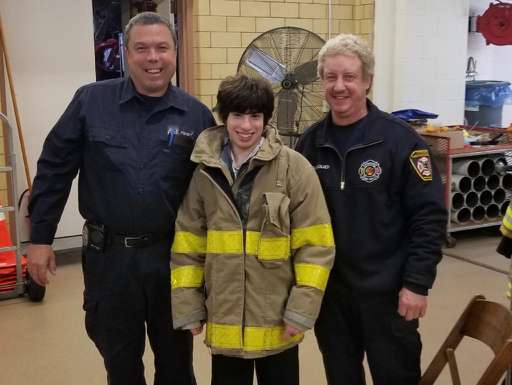 As usual, I'm not mentioning ages because what works for your child's current skill set works. Prices may vary slightly. 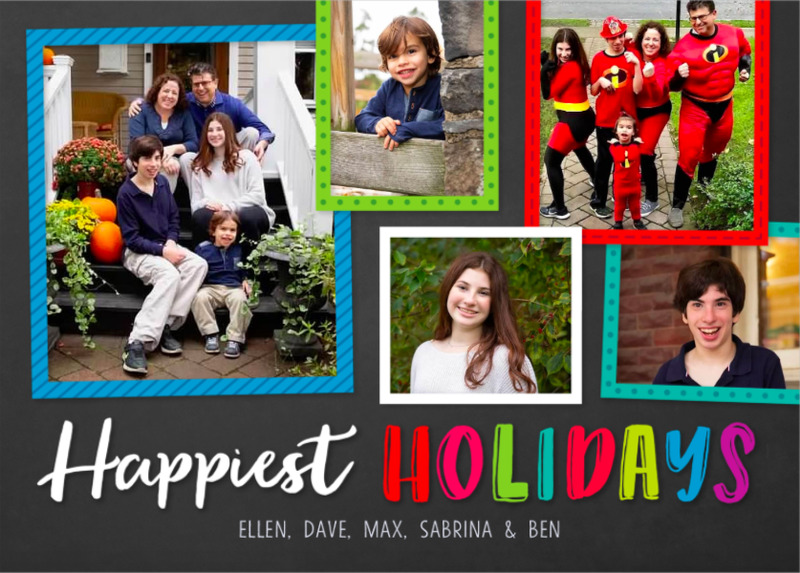 Happy Shopping, Happy Holidays! 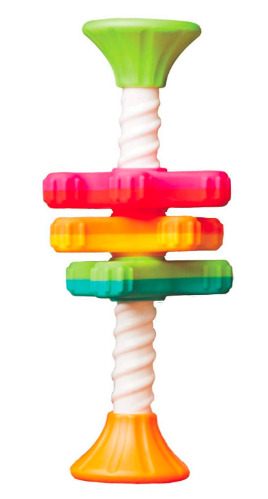 The Magnatlies people recently came out with Qubix—clear, colorful 3D shapes that children with fine-motor-skill challenges might find easier to grasp than flat tiles. 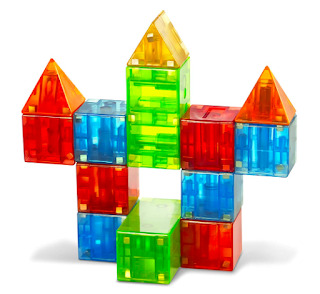 The 19-piece set comes with 3 square pyramids, 5 triangular prisms, 8 cubes, 2 rectangular prisms and 1 hexagonal prism. 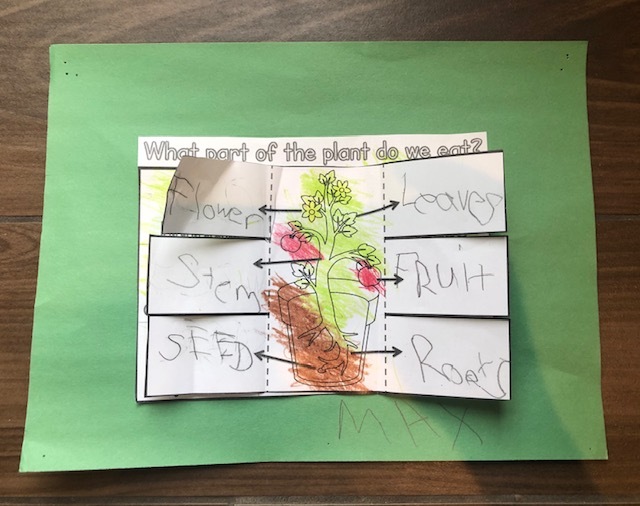 Open-ended coloring is great, but kids who have issues with fine-motor skills may resist. Here’s fun inspiration: coloring, guided by lights. The light-up board's coloring page (there are 50 included, and you can download more) shows which color to use in each section. Kids then connect the light-up dots to draw shapes, objects and animals. 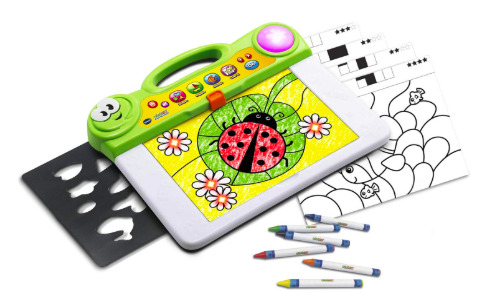 The art board side has a dry-erase surface and a stencil card, and there are melodies, too, to inspire budding artists. This five-piece wooden set enables children with disabilities to play with ones who look like them; how great is that? 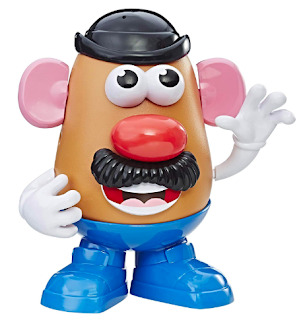 The wedge-shaped characters have double-sided artwork and wide, no-topple bases. Developed to enable people who are visually impaired to play with the cube, it’s also great for sensory-seekers thanks to the embossed shapes. When we were little, my sister and I used to take the pieces apart and put them back together to solve the puzzle Shhh. 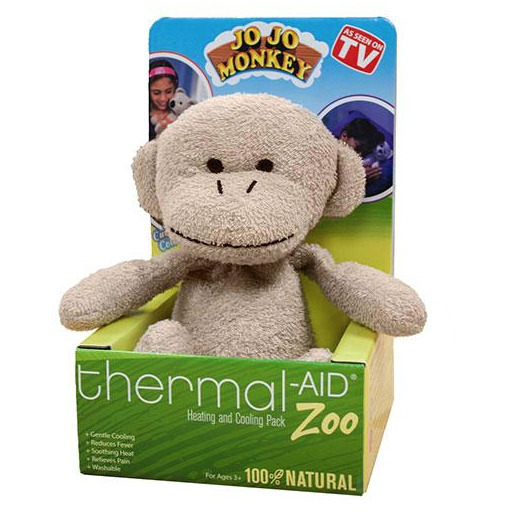 I love this brand because the toys are made of recycled plastic, and they’re free of BPA and phthalates. 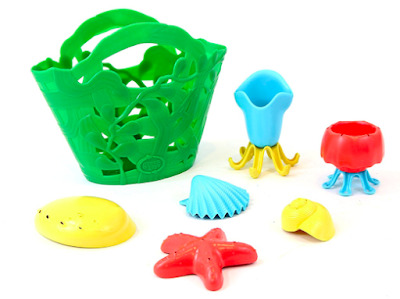 This bath set—with a palm-sized starfish, scalp, abalone, snail, squid, jellyfish and storage bag—encourages kids to scoop up water in a variety of ways. 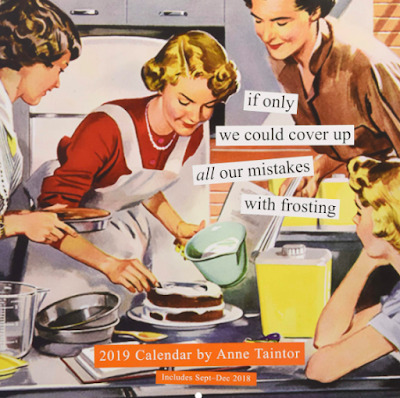 And, yay, you can toss 'em in the dishwasher. 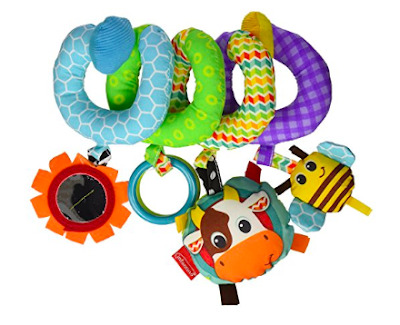 Kids can rattle, ring, jingle and shake, shake, shake to rock out. 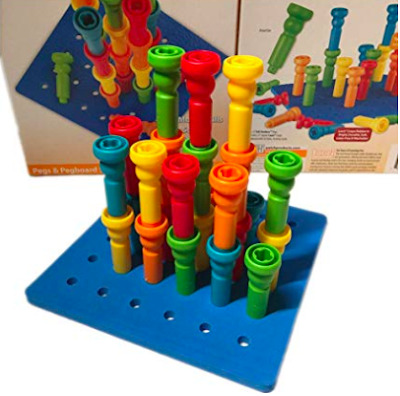 An eight-inch rubber peg board and 25 colorful pegs: Simple enough, but highly motivating for encouraging grasp and hand-eye coordination. Kids can stick the pegs in the board and stack them, too. This one's awesome for wannabe barbers or kids who might get a bit freaked out by haircuts. 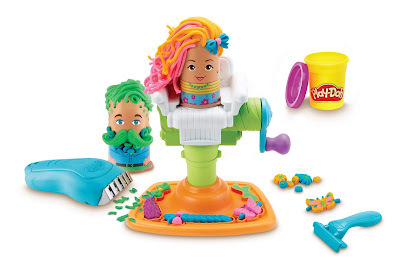 After placing Play-Doh into one of the the two holders/characters and seating them on the salon chair, they crank out hair with the lever. Then can then snip a style with the scissors or use the electric shaver (which makes buzzing sounds) to cut it. Also includes a comb, razor and five standard cans of Play-Doh. Three propellers spin up and down a corckscrew pole that can be flipped over, so they can go right on doing their thing. Has textured and smooth surfaces. 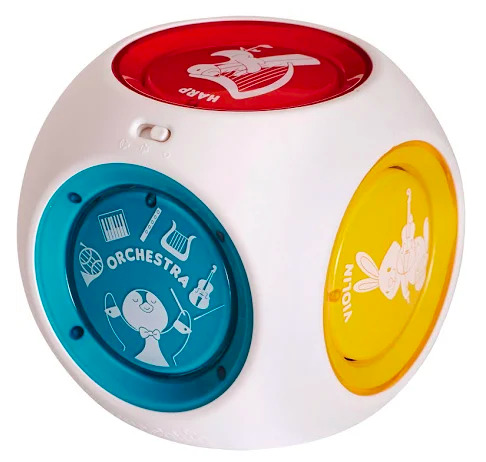 Kids can press the buttons to combine the harp, French horn, piano, flute and violin instrument sounds to create eight different Mozart masterpieces, or press the orchestra button to hear all of them at once. 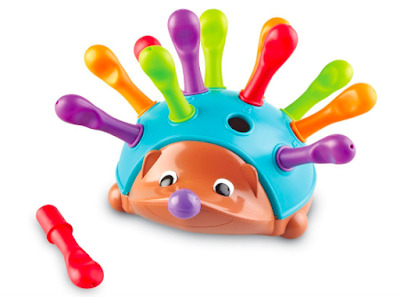 Spike comes with 12 colorful quills that kids can practice putting in. 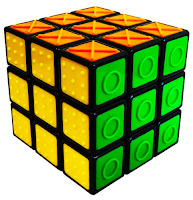 Works on color recognition, sorting and counting skills, too. 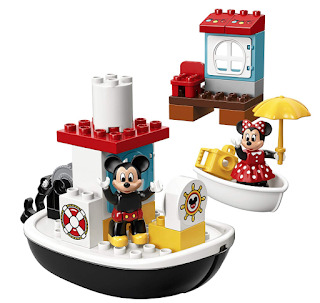 Tots can build the the steamboat, rowboat and pier with the blocks, then help Mickey drive the steamboat and use the pulley (which might require hand-over-hand assistance) to tow Minnie in her little rowing boat. 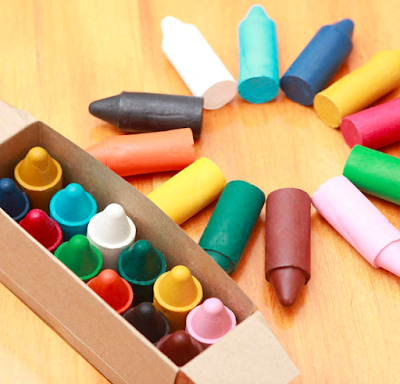 This handmade set of 12 non-toxic crayons in bright colors are chubby and way easier to grasp than the standard kind, and harder to break. 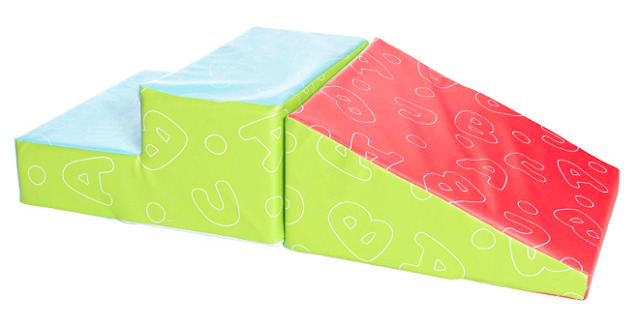 They glide right onto paper so kids don't have to press too hard, and they're washable. The Woozle is hungry! He needs fuzzy donuts and hairy pickles! 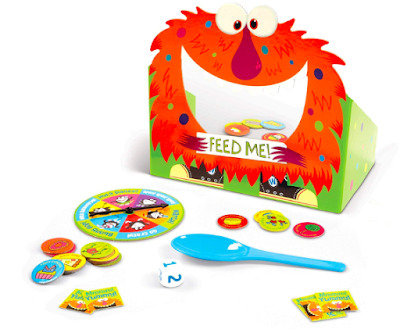 Kids have to spoon-feed the whacky pieces of "food" (illustrations on little cards) into this monster’s mouth, playing alone or together. 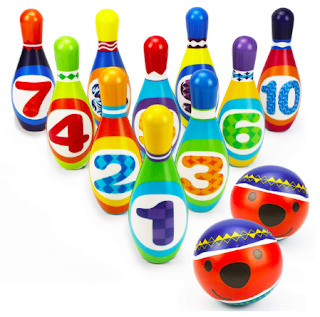 Encourages dexterity, as well as counting, cooperating and social skills. 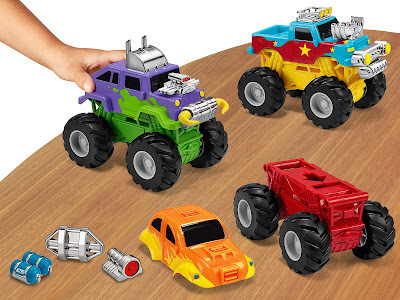 For truck-obsessed kids: a set that lets them mix and max large truck bodies, wheels and accessories. Then they just pull back the truck and it zooms off. Includes 15 snap-together pieces and truck bodies that are 5 & 3/4 inches long. Whack! Whack! Whack! 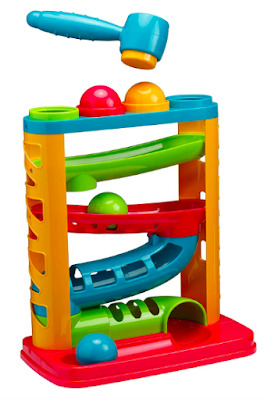 Kids can let off steam and work on their grasp and hand-eye coordination as they send the balls down the slide. 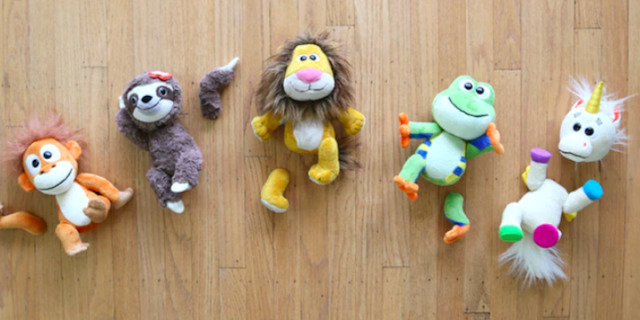 If your child likes cuddly creatures, here's a new twist: plush stuffies with removable magnetic parts they can mix and match, including (from left) Randy Orangutan, Hazel Sloth, Brady Lion, Miguel Frog and Iris Unicorn. 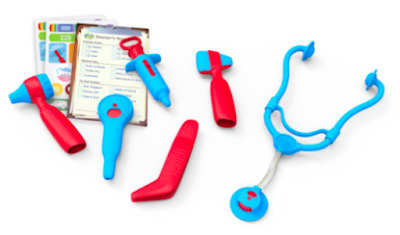 A quality kit with the classic MD equipment—a stethoscope, reflex hammer, syringe, forceps, thermometer and otoscope, along with a doctor’s notepad and two sets of sheets of assorted stickers. Meet Lea. She's 14 inches tall. 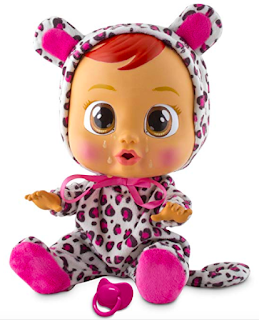 She cries real tears (just add water to the tank!) 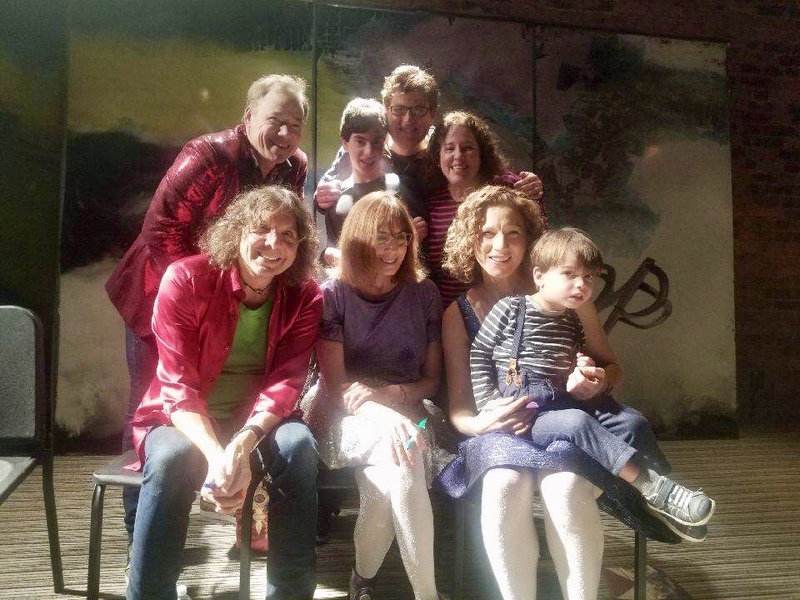 and wails. Mommy or Daddy can calm her down by placing the pacifier in her mouth. Good Mommy or Daddy! 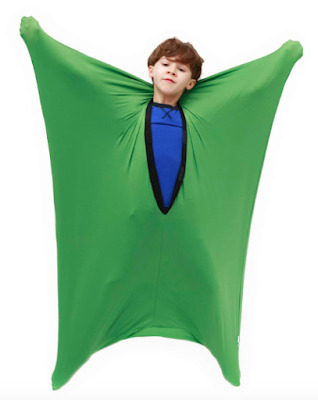 The removable onesie also helps mini parents practice fine-motor skills. Sleep training not required! Other dolls available. He shoots, hhe scores bath-time fun and fine-motor-skill practice! Comes with a floating foam basket that’s resistant to mold and mildew and three 2 & 1/2 inch sensory balls that help make gripping easier. 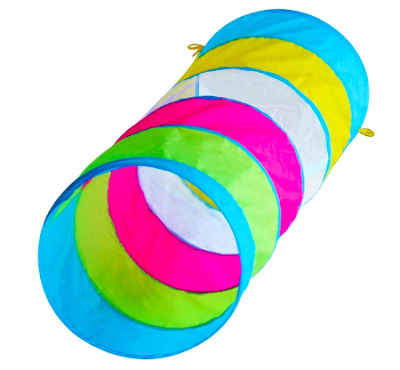 These four hanging toys encouraging swatting, along with sensory play. Wraps around car seat handles and most strollers, and i'ts BPA-free. This is the Blue Farm version; also available in Blue Jungle and Caterpillar. 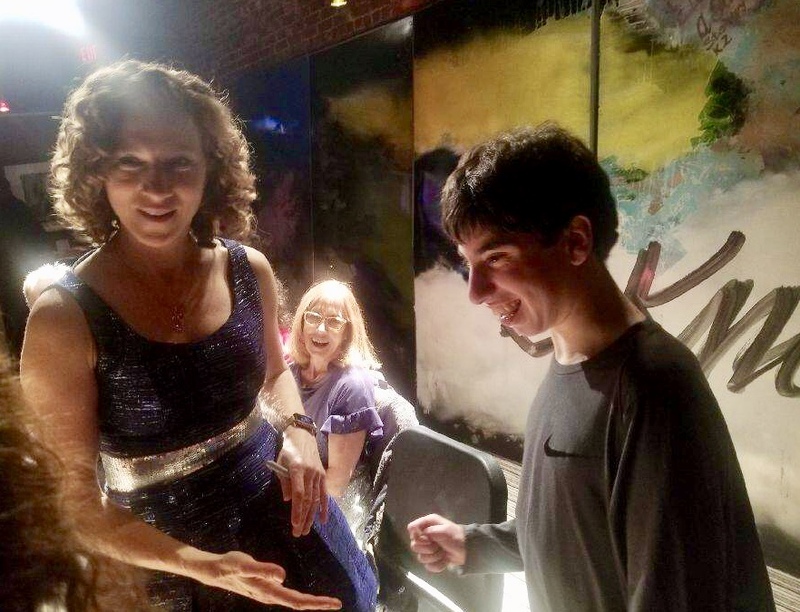 Sometimes, kids just need inspiration to move their hands around, period. Here you go! They swat at this thingie, it moves. 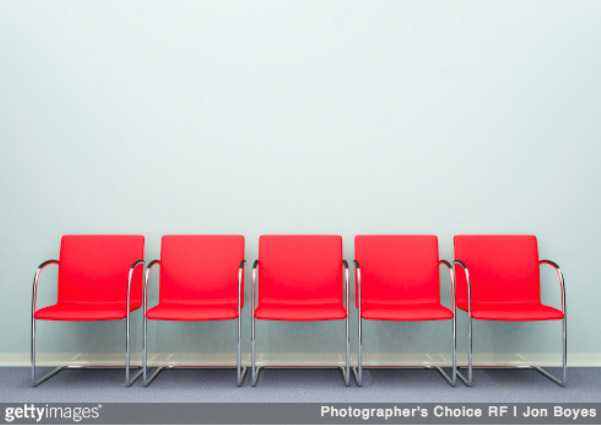 There are 52 challenges—spin one dipper, spin only the flippers, spin them all in opposite directions. Comes with the metal stand. 10 bowling pins made of lightweight dense foam + two foam balling balls + 1 kid learning to hold onto balls and roll them = awesome. Use those arms and hands! 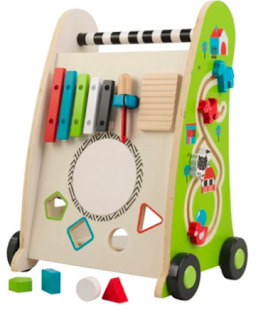 This walker has a sturdy wooden platform to lean on for kids who are practicing walking, lots of fun activities to play with and rubber-trimmed wheels to protect floors. Win-win-win. 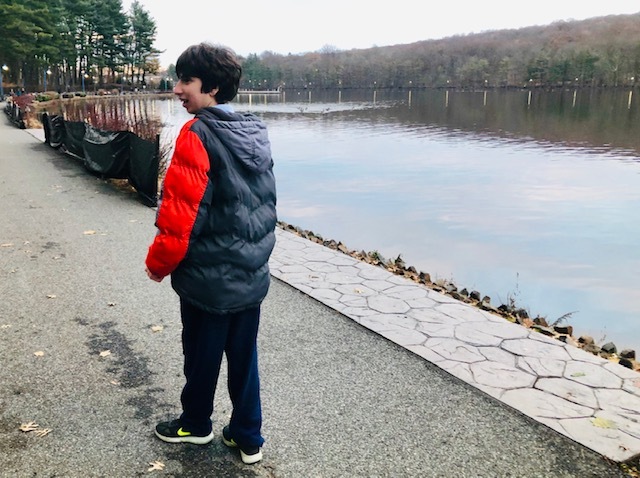 When Max was little, his therapist would encourage him to lay his chest on one of these and propel himself along to develop upper body strength. Comes in red, green, orange, purple and yellow. 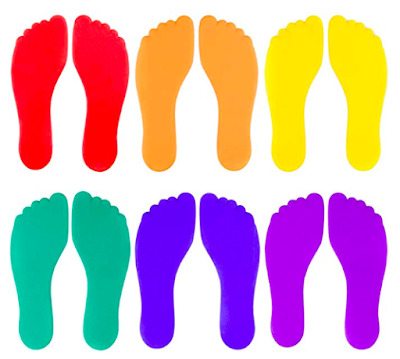 These brightly colored rubber feet can encourage kids to take a step here, then maybe another, and another.... Comes with a set of six feet and a mesh bag for storage. 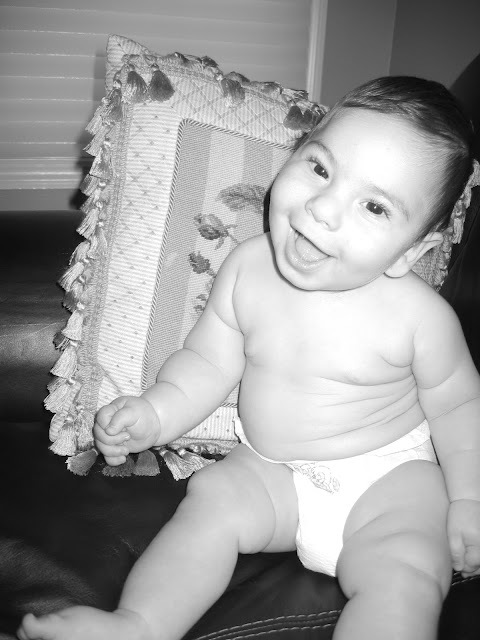 How to motivate a tot with gross-motor challenges to crawl? 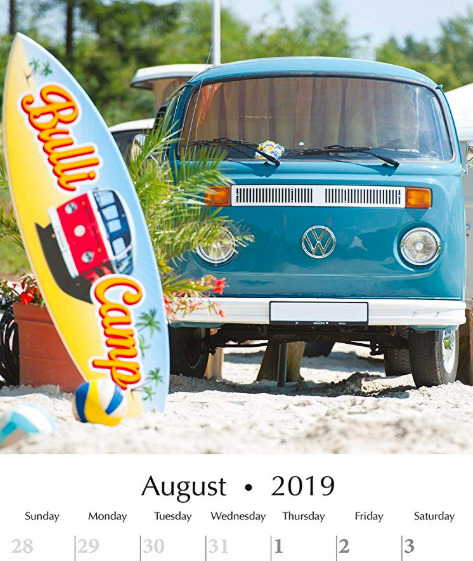 With a six-foot long bright tunnel—complete with mesh peek-a-boo window in the middle to say hi to you. Remember that scene in the movie Big where Tom Hanks danced on the giant toy floor piano in the toy store? You can recreate it in your very own home with a jumbo sized piano play pat, 70 x 29 inches, made of vinyl. Has four modes: Play, Record, Playback and Demo, with eight instrument sounds: guitar, piano, clarinet, trumpet, saxophone, violin, banjo and xylophone. Plus adjustable volume to keep parents sane. Uses 4 AA batteries. 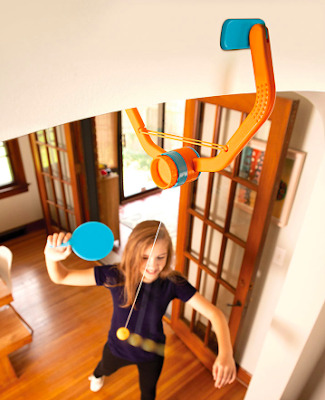 It’s ping pong without the table: You attach the clamp to the doorframe (it has an attached tethered ball), turn a dial to adjust the string length and play away. Comes with two paddles. 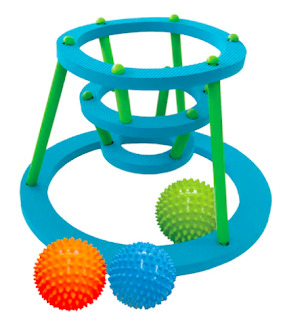 This 16.5 x 9.5 inch wobbly board helps kids work on balance and coordination, and supports up to 200 pounds. The height-adjustable stick, 36 inches long, holds most standard-size sidewalk chalk and enables kids to draw on sidewalks or driveways while standing or seated in a wheelchair. Consult with your child’s physical therapist first to see if it’s worth investing in a mini gym at home. 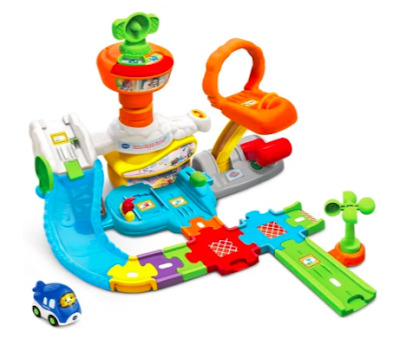 Two reputable ones: Milliard Soft Foam Toddler Stairs and Ramp Climber (above, $83) or a set from ECR4Kids, like the Softzone Climb and Crawl Foam Play Set ($146.50). 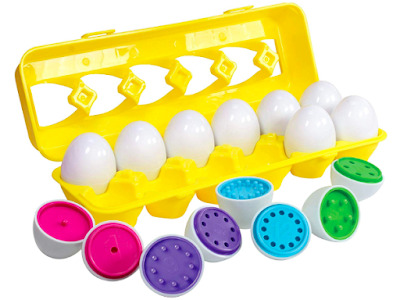 Each plastic egg in this carton has a different color and number, with corresponding pegs and holes, to help kids learn to count, sort, match and work on their fine-motor skills while they're at it. 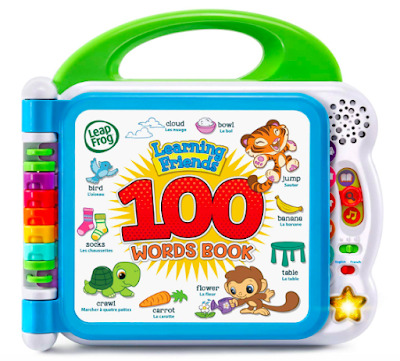 In Words mode, kids can flip through colorful pages—divided into categories including Fruits, Mealtime, Clothes, Colors, My Body and Outside—and touch each pic to hear Turtle, Tiger and Monkey speak new words. There’s a Spanish mode, too. You can switch to Fun Facts for tidbits of information (“This bottle is full of milk!”) and Fun Sounds mode to hear silly sound effects (like what rubber boots sound like when you walk), or press the light-up start button for learning songs. 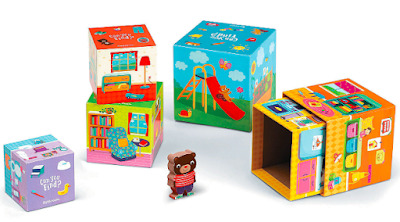 Kids and parents can take turn hiding the bear and stacking boxes. 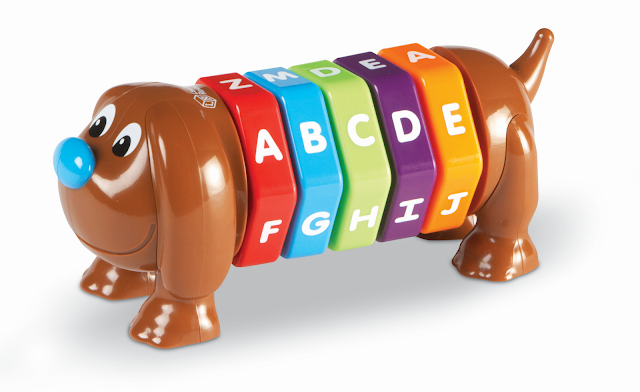 Helps teach object permanence, sorting, classifying, problem solving and spacial concepts—up, down, top, bottom. The five spinning hexagonal pieces include the full alphabet for spelling simple words as kids practice fine-motor skills. 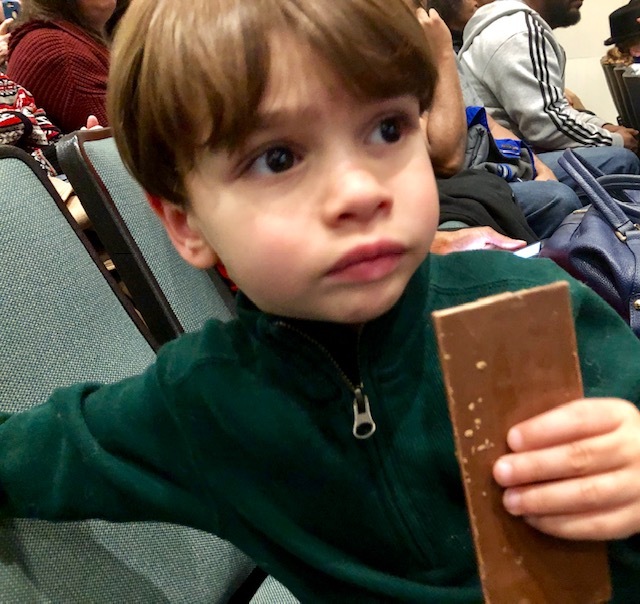 What kid isn’t obsessed with keys? 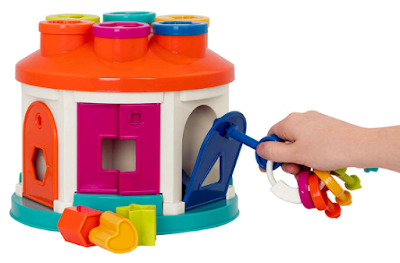 With this toy, they get to match the shapes of the blocks to the openings on the house and pop them in, then unlock the doors to get them. 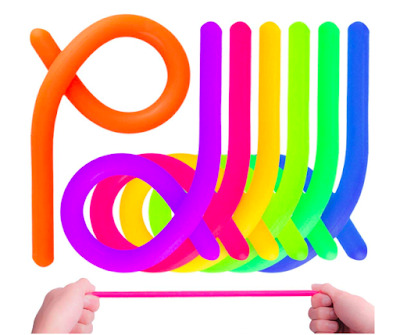 Teaches colors, shapes and concepts including cause and effect as it works on hand-eye coordination and fine-motor skills. 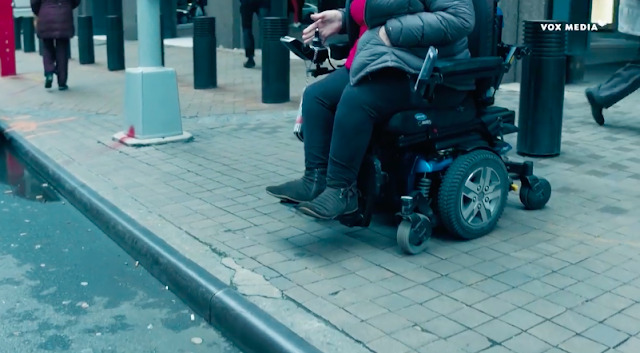 It’s easy to grasp and glide—and as it moves, the 7 shapes pop out of the top, wheels and sizes for re-sorting. 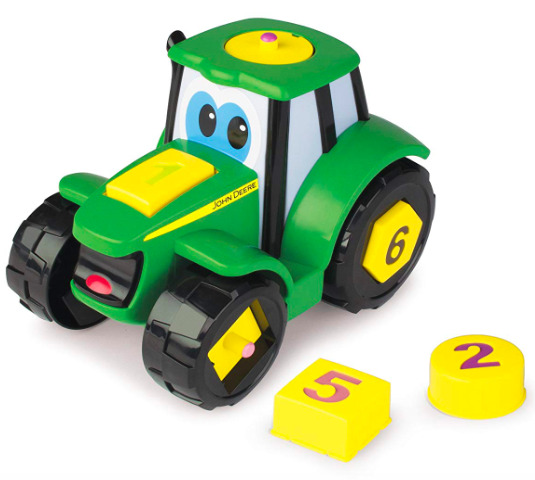 Teaches shape matching, numbers and colors. Parents can pick from a variety of books with beautiful illustrations and add their child’s name to bring them into a story all their own. 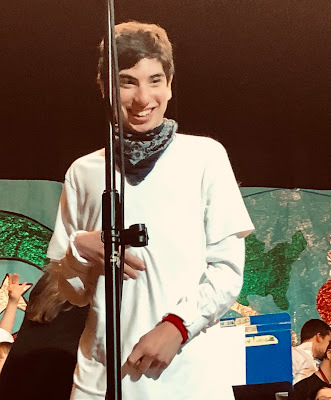 My boy learned to sing some words before he ever spoke them. 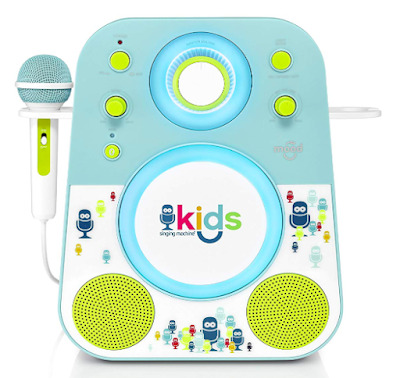 With this nifty l'il gadget, you can Stream songs from Bluetooth compatible devices and let kids rock as mutli-colored LED lights glow. There's an echo control for voice effects, 1 wired microphone and an AC adapter included (or you can lop in 8 C batteries). Speech therapists like to prop a mirror on the floor for tots, because they love looking at themselves and those with speech delays can see observe their mouths moving and yours in the mirror, too. 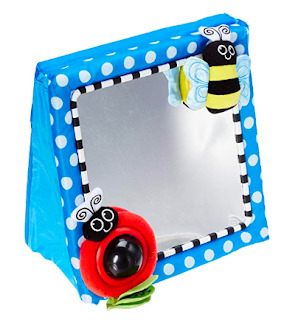 This 11.5 x 11.5 inches one by Sassy is super cute, with an attached butterfly for tactile stimulation and a lady bug with a tracker ball. 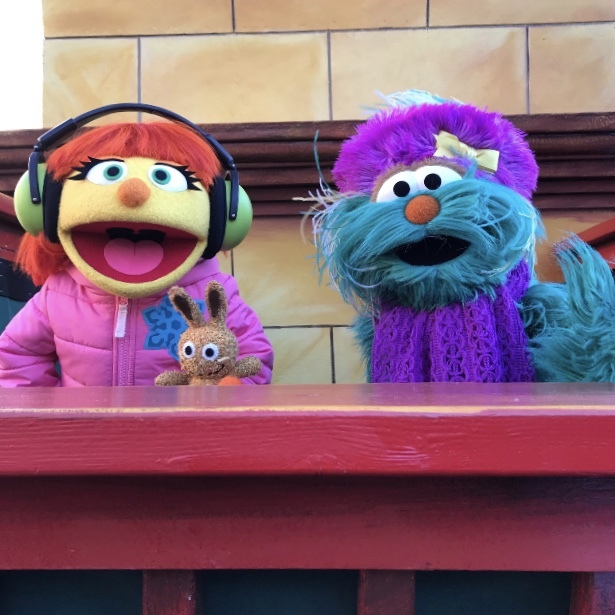 Puppets come in handy (ha ha, get it?) for speech encouragement because you can demonstrate mouth position and get children to mimic sounds and words the puppet says—and because they make speech therapy exercises fun. 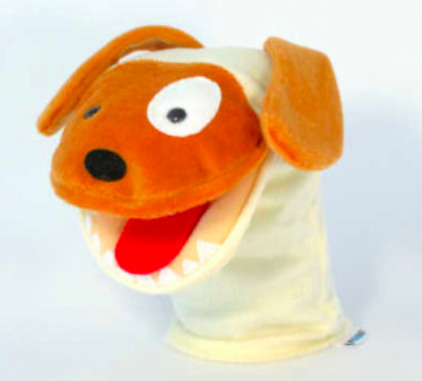 The ones from Moowi have a large mouth and a tongue, and they're super-cute. Available in other creatures. Then again, you can make a sock one for a fraction of the cost. Encourage kids to articulate words and learn to categorize—ask them to find three things that fly, and they can pick out the parrot, duck and butterfly. Includes 39 cards in a hinged case. 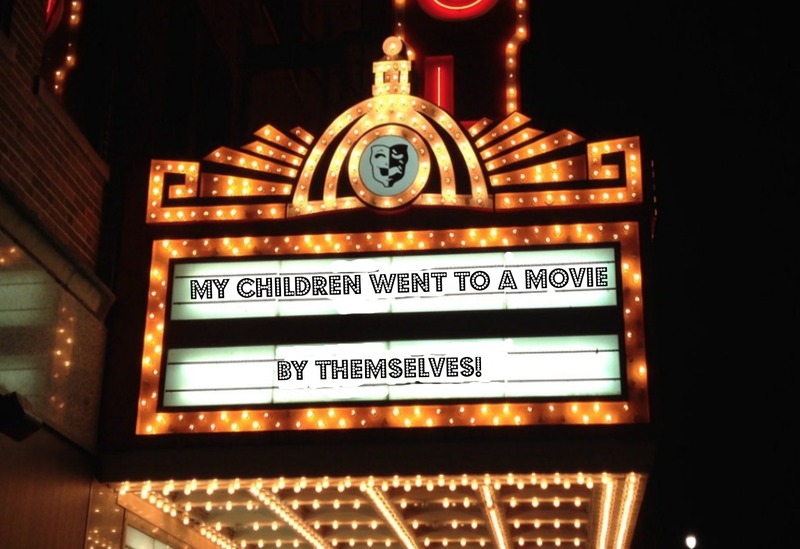 Also available: Actions, Opposites, Rhymes, Go-Togethers, Nouns Around the Home and Manners. 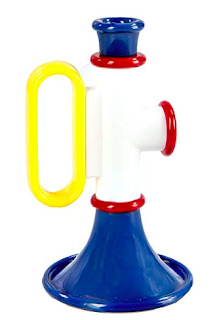 Kids can practice blowing, breath control and lip closure with this teeny trumpet, five inches long. There are two places to blow—the mouthpiece and the top—and each produces a different sound. Yep, good old Mr. Potatohead can be spudtastic for encouraging speech; therapists use him to teach body part names and colors, as well as social skills. 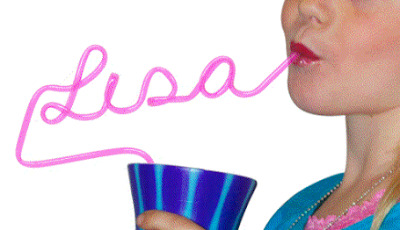 Whether you're trying to teach a child to drink from a straw or do it more often, their name on it might help a lot. Available in several colors. 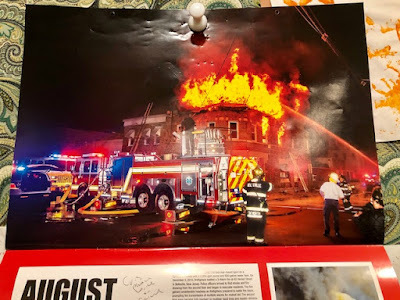 1 to 6 letters: $5.99, 7 to 8 letters: $9.99, and 9 to 10 letters: $12.99. 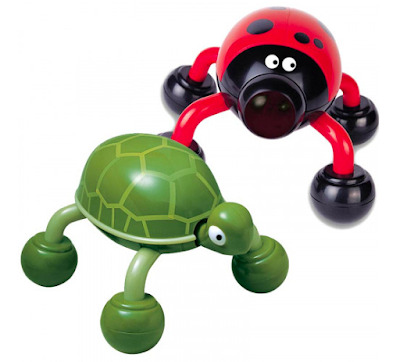 Lady Buzz and Tickles the Turtle come in handy for helping kids relax and giving sensory seekers good vibrations. Sold as a pair. 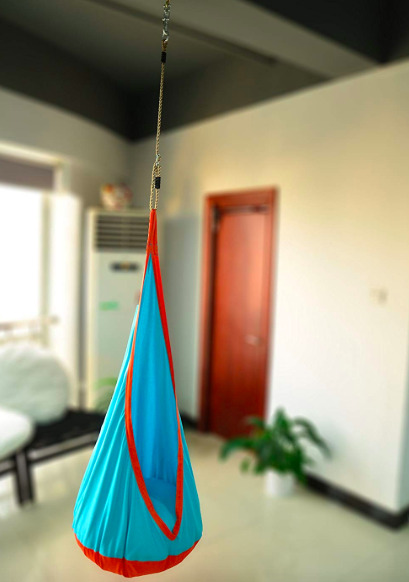 This inner and outdoor hammock fosters balance and body awareness. Plus it's a cozy hangout for reading, listening to music or just chilling. 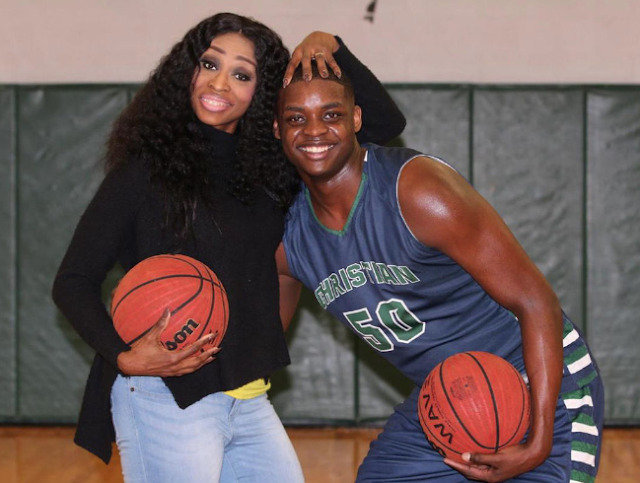 Has a 150-pound weigh limit. Measures 27.6 x 59.1 inches, with a seat cushion that's 27.6 inches wide. These strings are soft and durable and can be streeeeeeetched in and out. 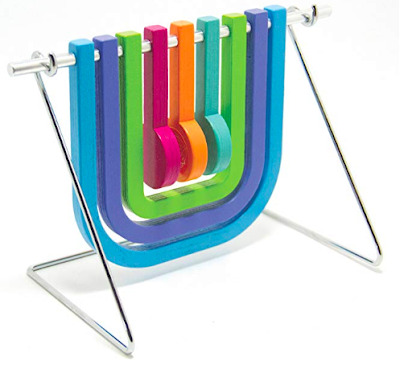 Comes with seven in different colors. 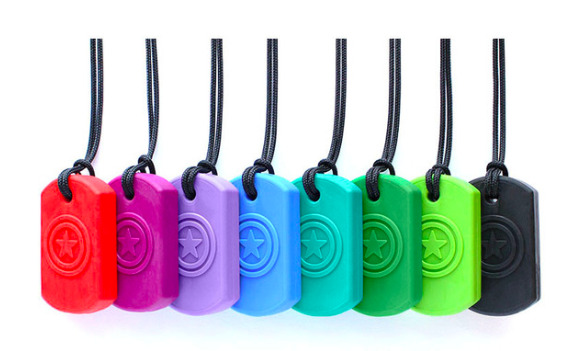 These pendants, 1.1 x 2 inches and under a half inch thick, are meant to be chewed. Comes in three toughness levels: Standard, for mild chewers; XT/Medium Firm—Xtra Tough but still pretty chewy; and XXT/Very Firm, the toughest one of all that's still pretty firm. It's a soft, furry monkey to hug! It's a boo-boo helper! It's both! These furry creatures (a bunch of kinds are available) can be heated in the microwave or cooled in the freezer to soothe kids when they need hot or cold therapeutic treatment. 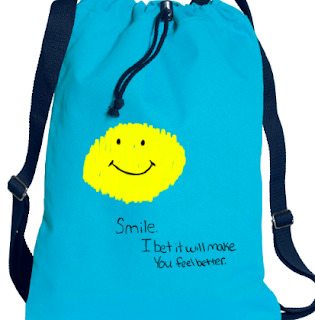 Made of 100% natural cotton and a heating/cooling element composed of a specially engineer corn. 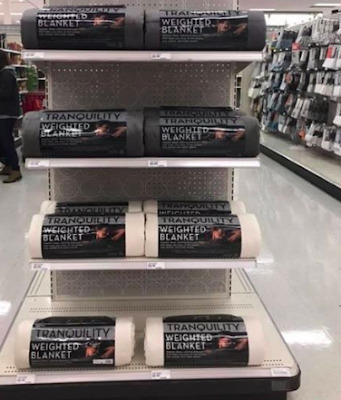 They're washable, too. 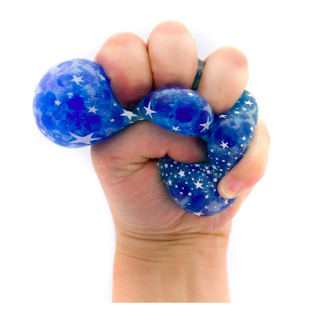 Making stuff can be very relaxing…especially when you are making anti-stress balls to squish and squeeze. You and your child can pour the blue and purple expanding water crystals into any of the four balloons using the funnel, add silver glitter and water and wait a bit to create a squishable compound. A nice gift for kids who need tactile feedback, stretching and that wrapped-up feeling. Some kids bring toys in side and play; some nap in it. Available in Small for kids ages 3 to 5 (above, $28), Medium for kids ages 6 to 9, Large for kids ages 9 to 12 and X-Large (for anyone over 4'8"). This company sells t-shirts, hats and totes featuring artwork designed by individuals with disabilities. They also hire people with disabilities to package clothing. And fifty percent of all proceeds goes to causes that support people with special needs. 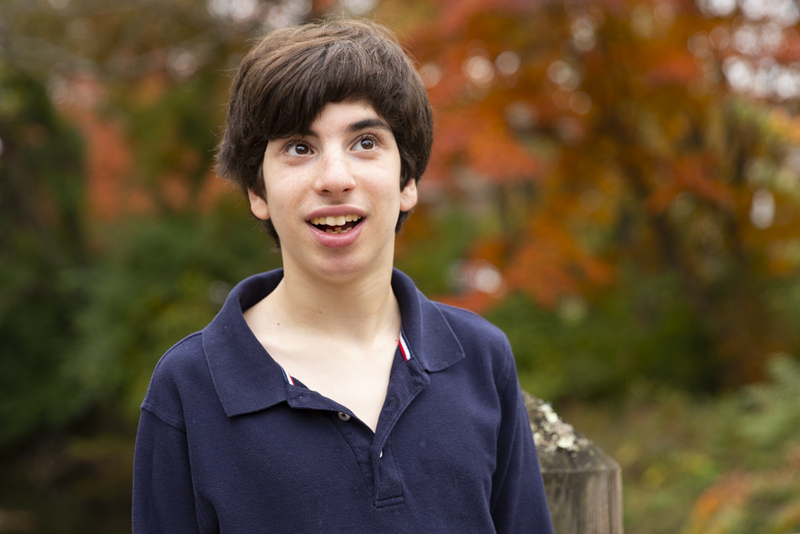 Morgan Tibbens, an 18-year-old with Down syndrome, runs an online shop that sells soap, bath bombs, and soap disks. 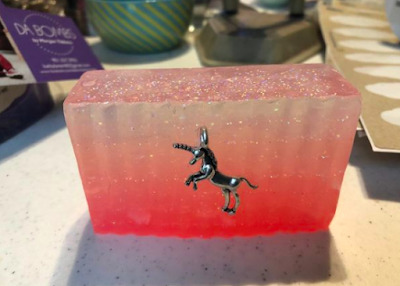 How cute is this unicorn soap? This clothing subscription service has pre-styled fashion boxes for girls sizes 4 to 16, filled with fun, stylish clothes. Starting at $68 (including boxes that can be ordered without shoes). 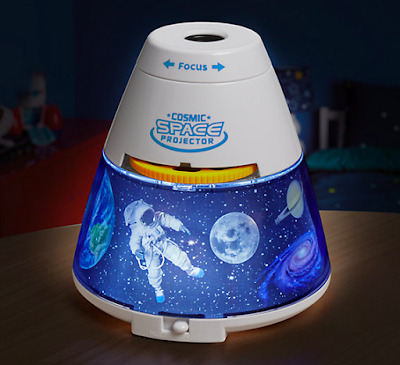 It’s soothing, it’s cool, it’s the universe in your kid’s bedroom—just pop a disk into the projector to see a space-themed image on the ceiling. 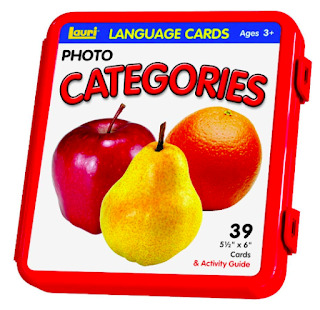 There are 32 photos on 4 disks including the solar system, a total lunar eclipse, galaxies and more. The projector works as a night light, too. Bonus: It makes your child WANT to go to sleep. 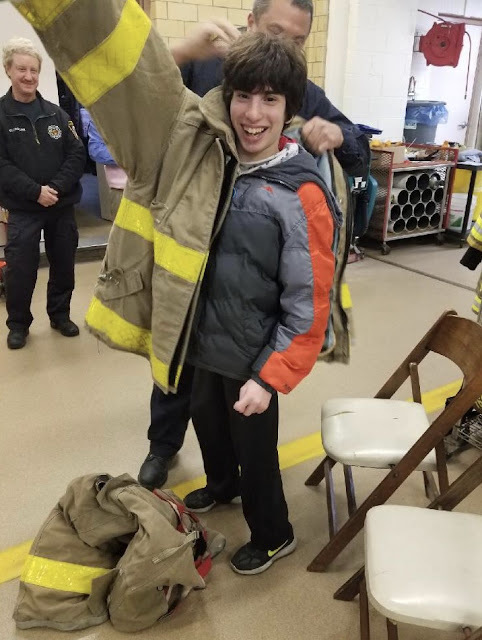 John's Crazy Socks is run by John Lee Cronin, who has Down syndrome, and his dad, Mark. 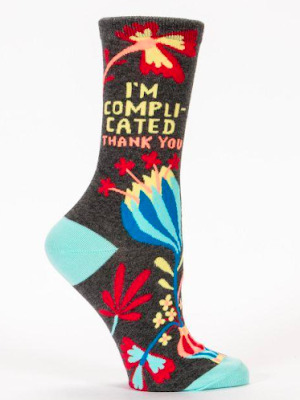 Their business supports a number of people with disabilities, and they have a whole lot of cool, crazy socks. 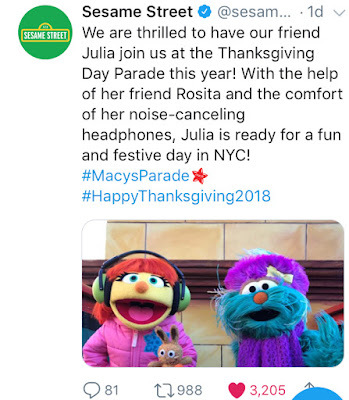 As John says, "They let me be me." 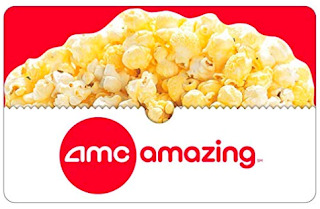 These days, Max is really into movies, so we're getting him a gift card to his fave theater, AMC. 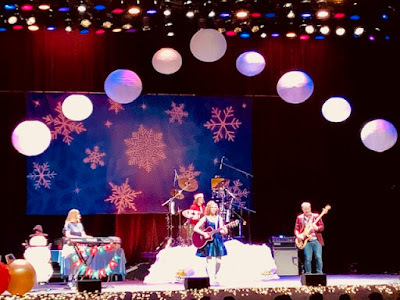 You can get discounted tickets to a variety of theaters through Working Advantage (you're supposed to sign up through your workplace but you can also try googling to find codes). 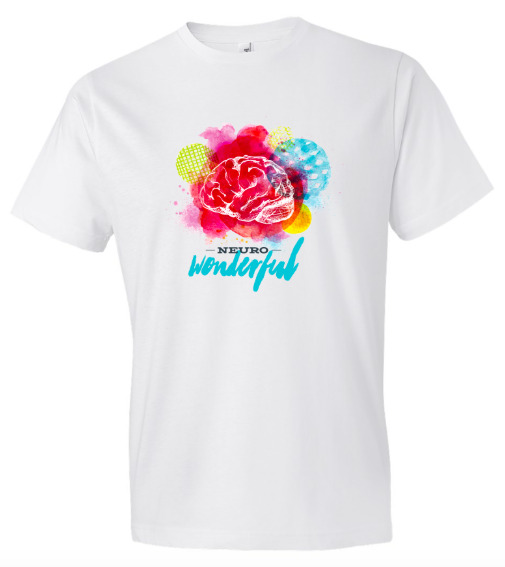 A tee-shirt shop that hires people on the autism, Spectrum Designs has a nice selection of shirts with great messages, like the "Neuro Wonderful" tee. OK, technically this gift is about safety—it is a wristband ID—but it comes in cool colors. 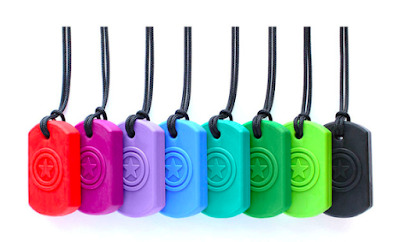 You can personalize the bands with whatever information you want, and choose from silicone, leather and nylon. 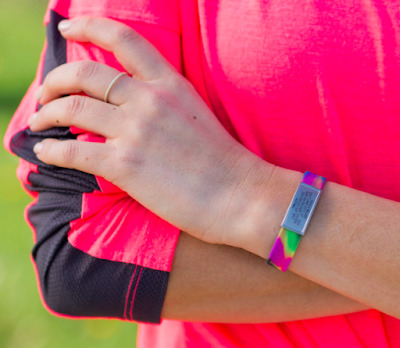 A portion of every order is donated to one of 12 causes, including the National Autism Association.